I love snapping fun wedding reception photos. It's great when the bride and groom can let loose and have a blast, as sometimes the formality of the day can make it hard to do this. The wedding day goes by in a blur, so although it's important to chat with as many guests as possible, the couple needs some time to bust some moves on the dance floor as well. 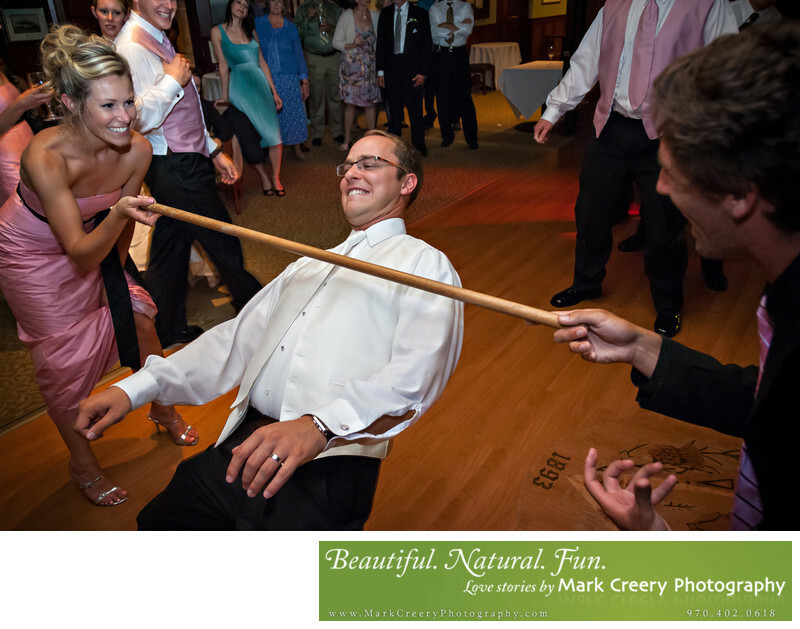 In this wedding photo taken in Colorado, the groom is doing the limbo and being urged on by his Best Man and the Maid of Honor.